Scandinavian food. 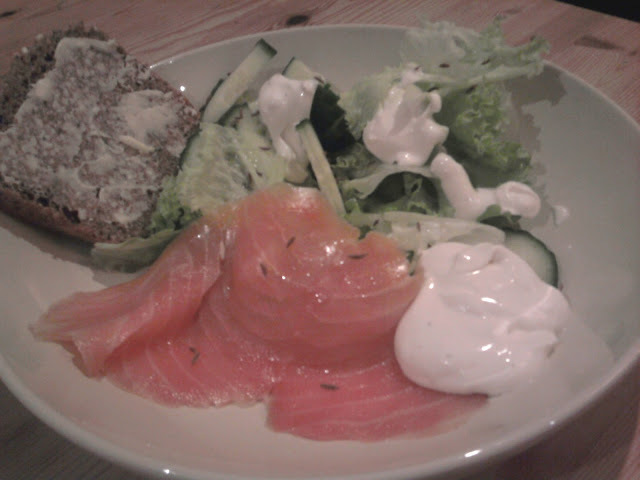 Salmon, rollmops and meatballs, right? Well yes, but also so much more, as The Scandinavian Cookbook shows. 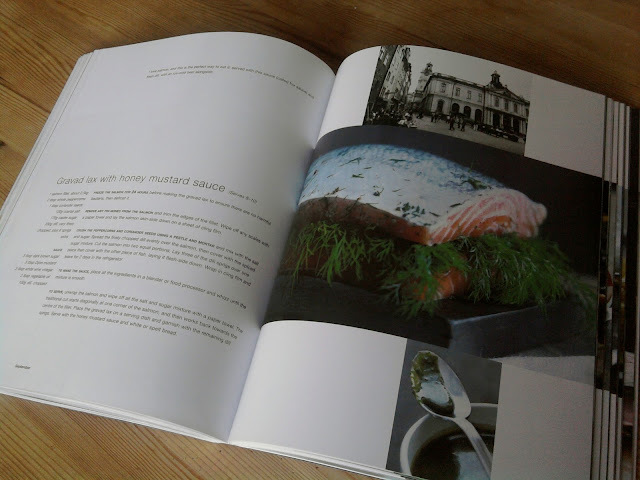 Published by Quadrille, the book is packed with beautiful photography - of the Scandinavian landscape as well as the food - and over 100 recipes that capture the essence of Scandinavian cuisine. Meatballs in Curry Sauce, Kransekage (Almond Cakes) and Gravad Lax with Honey and Mustard Sauce - they're all here. 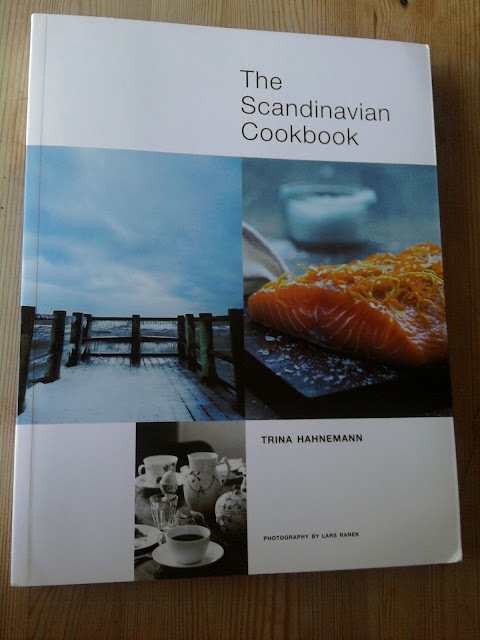 The book, written by Danish chef and food writer Trina Hahnemann, is split into chapters dedicated to each season and it is very comforting to imagine all these fresh and vivid dishes eaten at different times of the year. In our age of convenience, it is easy to forget about eating seasonally. The recipes also give a glimpse into foods eaten on special occasions - Lucia bread, for example. The recipes were also easy to follow. I made the Smoked Salmon and Horseradish Cream with Crunchy Cucumber and Caraway Seed Salad for myself one night when I was on my own and the children were in bed. It was easy to throw together, with one eye on the X Factor, and was made out of ingredients I would normally have in the cupboard and fridge. The salad was so right for so many reasons. Soft, cool, smoky salmon alongside crunchy cucumber and lettuce, and the horseradish and crème fraiche dressing helped cut through the oily taste of the fish. The caraway seeds provided a surprise burst of flavour in the mouth. I'll be making this salad again, for definite. 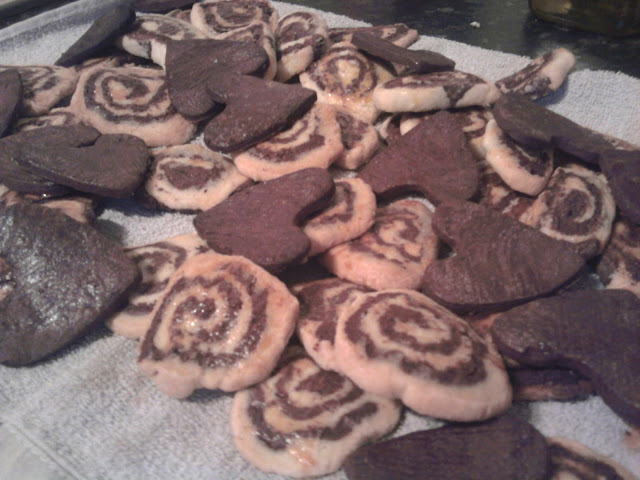 I also tried the Swirl Butter Cookies - the worst part was waiting for them to cool down once they were out of the oven! Easy and quick to make, (I made them at around 7am one morning when the children woke up early) they were an instant hit. Crumbly, sweet and with a shortbread-type texture, the smell of these cookies baking just drew everyone into the kitchen - even at 7am. I even had some of the chocolate dough left over so stamped out some hearts! I'm nothing if not resourceful, you see. This book also features recipes using moose and reindeer meat and I was relieved to see some alternatives given (venison can be used instead). This book is inspiring - reading it made me want to get into the kitchen and get baking - and the vivid photography launched me into a world of snowy landscapes, dense forests and fresh food. With recipes for all seasons of the year, and meaty main meals, salads and desserts as well as delicious treats to bake, this book is one I plan to turn to again and again. Danish pastries, anyone?